The E&E Construction Company team is dedicated to performing quality work and delivering a topnotch finished product—no matter what kind of project we’re working on. 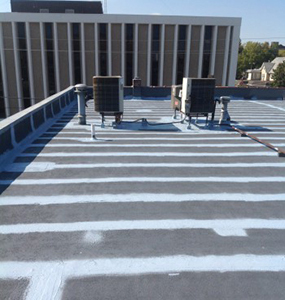 Our technicians are professionally trained and “green building” certified, and for well over a decade we have provided clients with expert workmanship and outstanding customer service. We embrace green building practices, which means we build structures using environmentally responsible and resource-efficient processes—doing so throughout the building process from start to finish. The finished product is a building that is as environmentally responsible and resource-efficient as the process used to create it. Green buildings can be “green” in various ways, such as having sustainable materials incorporated into their construction; featuring minimal pollutants and thus creating a healthy indoor environment; and/or featuring landscapes that reduce water usage. 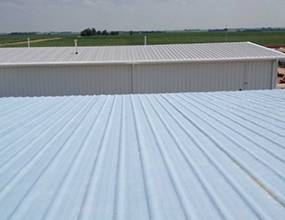 For the majority of our time in business, we have specialized in roofing, pole barns, home construction and room additions. We made the decision to foray into commercial roofing several years back, and our technicians have undergone top-level training with the Conklin company, receiving expert, in-depth instruction regarding the various types of commercial roofing systems, construction of those systems, the best tools and materials in the industry, and how to offer manufacturer’s warranties on work completed. The values upheld by Conklin really resonated with us. Conklin’s focus is on bettering roofing contractors and helping them become the very best and most expert professionals they can be. Conklin also treats its member companies like family and truly empowers roofers to deliver outstanding workmanship and caring quality. These are the values that we at E&E Construction wish to—and strive to—pass on to our associates and customers. 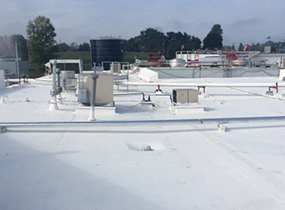 For all of your commercial roofing needs, you can count on receiving the best of everything from E&E Construction—the best workmanship, the best products, the best techniques and the best service. We proudly serve commercial clients in Ohio, West Virginia, Kentucky and Indiana, with immediate service areas including Columbus, Cincinnati, Charleston, Parkersburg, Huntington, Lexington, Louisville, Indianapolis, Fort Wayne and the surrounding communities. 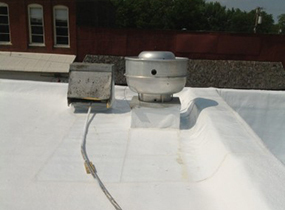 Give us a call today at (740) 331-0695 for expert commercial roof repair, replacement, inspections, maintenance and more!